Pauline Grabowski’s diverse experience in dentistry includes work as a certified dental auxiliary, a practice administrator, and a systems analyst. Pauline has accumulated a wealth of knowledge over the past 26 years and has shared it with hundreds of dental practices. As a professional consultant, Pauline provides personalized dental solutions to meet the specific needs of every dental practice. 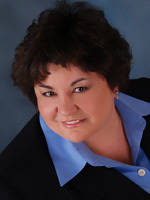 In addition to her speaking engagements, Pauline provides on-site analysis and consulting. She specializes in new office design and setup, marketing, scheduling for productivity, treatment planning, case acceptance, and team building. Pauline is a member of the Academy of Dental Management Consultants , Speaking/Consulting Network and a sponsor for AGD Fellowship/Mastership credit, which allows for CEU's. Practice Management Consulting- A blueprint for success will be designed for the overall fitness of the practice. Pauline will offer solid guidance with system tools to help move the practice to the highest level. Communication Skills, Team Building/Development both personally and professionally, and all management systems are established for each practice individually. New Practice Designs - Assistance with the layout of the dental practice for the best patient flow to utilize space more efficiently. New Dental Practice Startup's - Providing a checklist for the new dentists to open the doors to a warm and caring environment. Pauline works closely with the practitioner to design every aspect of a new office opening. Associateships/Partnerships - Liaison for the practitioner to work side by side with another practitioner with both parties best interest at hand. Practice Monitoring - "Prevention is Key." All business's require checks in balances. Pauline provides that follow-up to practitioners monthly, bimonthly, and quarterly. This prevents misappropriations. Systems Analysis - Assessment of all inner-office systems, i.e., Production, Collection, Scheduling Productively, Patient Tracking/Retention, Insurance, Accounts Receivable and Continuing Care. Practice Management Software Analysis - Software program evaluation for utilization and data base cleanup. Software programs featured: Softdent, Practice Works, Eaglesoft and Dentrix. For more information about how Pauline Grabowski & Associates earned its stellar reputation, visit our Portraits of Success page.